Bristol Whisky Appreciation Society is organised by three whisky loving friends who have all made their way to Bristol, via various circuitous routes. 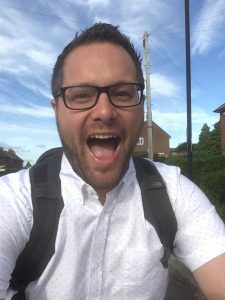 Rob is a Yorkshireman who has been in exile in the South West for fifteen years, living in Southmead for the last eleven years. When not talking nonsense on the internet about food, beer and whisky, Rob loves nothing more than being outside. He tries to run three times a week and escape to the beach as often as possible. Rob is the only member of the organising team who can reliably, accurately tell you what region Ardmore distillery is in. First Whisky Love: Talisker 10. It was smoky and big enough to change my mind that all whisky was the same, but soft enough that I could drink and enjoy it. Current Whisky Love: Ardbeg Grooves Committee Release. A thick, unctuous, peat monster, that is simultaneously sweet, rich and oakey. 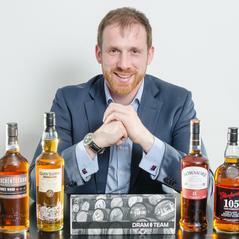 Chris is the owner of The Dram Team and hails from Bewdley in Worcestershire. He is a keen runner, cyclist and basketballer, but sadly recently incapacitated himself playing the latter. His love of whisky is fairly new, but very passionate. Peat, honey and tropical fruits, all mingle together over a splash of oak. Honey, butterscotch, nuts and lots of tropical fruit flavours. 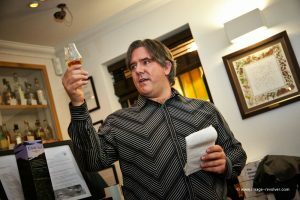 Jason was introduced to single malt whisky at the tender age of 16 when he lived in Australia, and spent the next 12 years trying to figure out how to get closer to Scotland. Moving to the UK seemed an obvious solution, so he did that, and has been surrounded by whisky ever since. In the rare moments he gets between working at or organising whisky tastings & festivals, he likes snowboarding (badly), going to random gigs, labrador maintenance, and Doing Fun Stuff. Known as “the single malt that started it all” by its branding, and also literally in my case, actually personally too.